"BEST WEBSITE EVER to buy from! PS. Ruben you will always be my favourite costumer"
"fast quick and easy. had my gold within a minute of placing order"
"Bought 30m osgp, used the support chat and received my order within 5 minutes. big thumbs up to these guys." 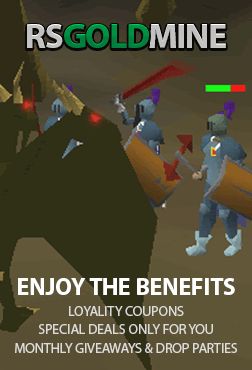 "Bought 15 osrs without a hassle. Thanks so much!" "Sold me over 500m RS07 always fast thanksss!!" "bought 15m runescape 2007 gold"
"Got my gold within a few minutes 50m RS 2007 gold thanks!" "Very smooth delivery, nice guy switched to a non member world for me. Also good pricing and the ability to pay with a paysafecard. Would recommend this. 5 stars." "got 15 mill these prices are unbeatable, awesome live support paid with bitcoin"
"9/10 fast service thanks guys!" "very good sevice will order much more on this site"
"very fast and great service will use again"
"10/10 Sold me 25m RS07"
"Great prices bought 52m rs07 thanks!"